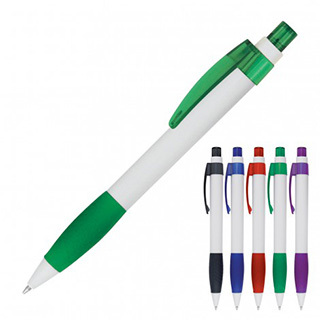 With ergonomic rubber grip and push button, retractable ballpoint, the Anton Ballpoint Pen is trimmed with translucent clip for a sharp modern look. Logo, brand or personalization can be printed on both barrel and clip giving you lots of options for an economical yet impressive promotion. Black ink from a Quality refill (1.0mm nib and 600m capacity).